CENTER VALLEY, Pa. (Feb. 12, 2019) – Penn State Lehigh Valley Continuing Education & Outreach provides the opportunity to community members to explore several areas of personal growth through no-stress and non-credit arts courses, lecture series and more. Senior Adults Gaining Enrichment (SAGE), an outreach program of Penn State Lehigh Valley for adults age 55 and older, has announced the schedule for its spring 2019 four-part lecture series. Each SAGE session is held on the first Friday of the month (with the exception of May) and begins with coffee at 10:30 a.m., the featured speaker at 11 a.m. and lunch at noon. All SAGE lectures are held in room 135 at Penn State Lehigh Valley located at 2809 Saucon Valley Road in Center Valley. SAGE offers an opportunity to enrich one’s life through learning in a relaxed and accepting environment among peers. We cover a wide range of subjects in our college level lectures including social and cultural trends, evolving technologies, the arts, food and wine, politics, religion, economics, health and wellness and more. The cost per lecture is $20 or attend all four for $60. Lunch is included. For more information, contact Jessica Kemmerer at 610-285-5133 or jlb995@psu.edu. The Five @ Five Lecture Series features five lectures on a given subject in order to provide an in-depth look at the topic. This educational program highlights the research and talent of Penn State Lehigh Valley faculty members and is open to the community. David M. Longenbach, Penn State Lehigh Valley lecturer in history, presents the spring lecture series, “The American Civil War.” In this five-part series, Longenbach will explore the military campaigns of the Civil War from the firing on Fort Sumter to the surrender at Appomattox Court House. Lectures will be held from 5:00-6:30 p.m. on the following Wednesday evenings: May 8 to June 5 and will take place in room 311B. The cost for the series is $59. 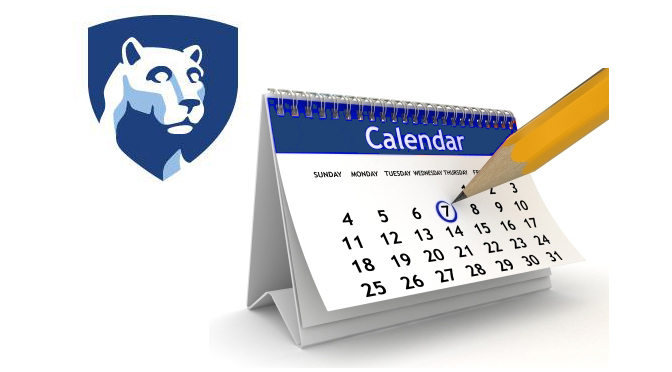 For more information, contact Jessica Kemmerer at 610-285-5133 or jlb995@psu.edu. Penn State Lehigh Valley provides a Penn State University education in a small campus setting that integrates individualized teaching, research, and dynamic community outreach. With its convenient location in Center Valley, traditional students and adult learners can choose from many options including 9 bachelor’s programs, which can be completed at the campus, as well as access to 160 academic programs offered by other Penn State campuses. In addition, students and community members who have a scalable business idea are invited to participate in professional development offered by Lehigh Valley LaunchBox, a business accelerator for early stage entrepreneurs. The campus’ diverse Continuing Education and Outreach programs offer opportunities for professional development, business training, and youth programming. For more information, visit lehighvalley.psu.edu.